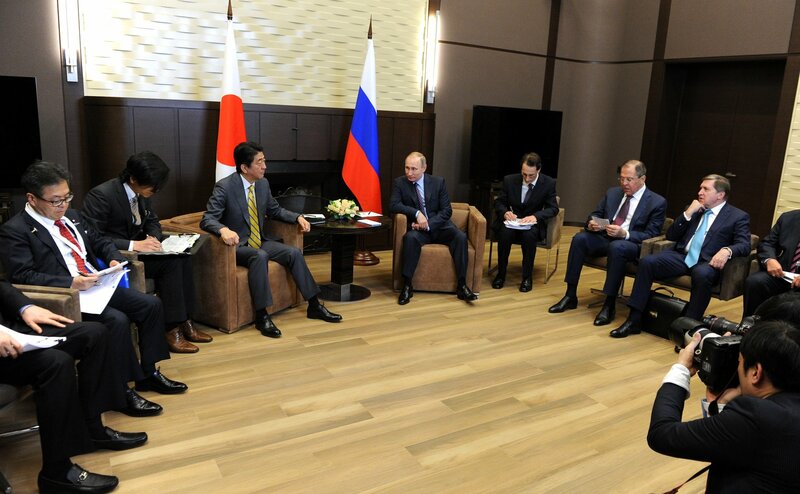 Russian President Vladimir Putin meeting with Japanese Prime Minister Shinzo Abe. The last week of 2016 saw the passage of three seemingly unrelated events. These were: 1) Japanese Prime Minister Shinzo Abe’s historic visit to Pearl Harbor, 2) the U.S. expulsion of Russian diplomats in response to allegations of Russian interference in the recent U.S. Presidential election, and 3) the Chinese aircraft carrier Liaoning’s debut into blue water territory. 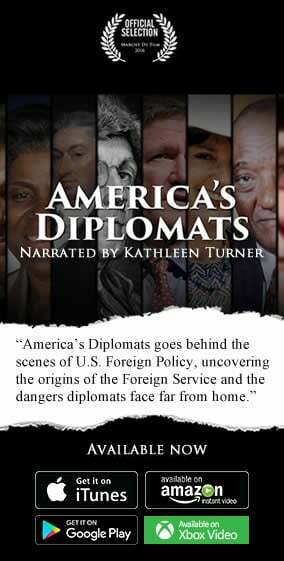 The first two events juxtapose the current U.S. administration’s willingness to treat a former enemy as a friend in the form of Japan, while treating a former enemy as a present and future enemy based on unsubstantiated allegations in the form of Russia. When combined with recent Russo-Japanese diplomacy, it is clear that Japan’s strategy to recruit Russia to better balance China (typified by the Liaoning’s maneuvers) at the very least is less likely to fail than comparable U.S. efforts to do the same. Shinzo Abe made headlines last week with his historic visit to Pearl Harbor, widely seen as reciprocating U.S. President Obama’s visit to Hiroshima earlier last year. While condolences, but not apologies, were expressed by the leaders at both events, the picture is much broader. Abe was the first foreign leader to actually meet and congratulate President-elect Donald Trump in person, even before the latter’s being formally sworn in to office. Abe’s Trump visit reflected Japanese uncertainty with the new incoming U.S. administration’s stated ambivalence with supporting Japan militarily in Asia. With Abe’s Pearl Harbor visit, however, the Prime Minister is trying to start off Japan’s relationship with the new U.S. administration on the best foot possible, despite the uncertainty. This is critical to overall Japanese strategy in balancing China. In contrast, the current U.S. administration has recently expelled several Russian diplomats in response to allegations of Russian interference in the 2016 Presidential election. This move, coming on the heels of extended sanctions against Russia for its role in Crimea, eastern Ukraine, and Syria, symbolizes the U.S.’ determination to not let Russia out of the “enemy” camp anytime soon, unlike Japan. While diplomatic expulsion may be considered only symbolic by some, it’s critical to have as many avenues of communication remain open, not closed, between Russia and the U.S. currently. Lest anyone underestimate the role of diplomats in international relations, the recent Russian Ambassador to Turkey’s assassination threatened to derail Russo-Turkish communications regarding the Syrian Crisis. Luckily, this did not occur as Russia, Turkey, and Iran, are all currently brokering a deal to resolve the crisis. Equally luckily, Russia has, as of yet, not reciprocated by expelling U.S. diplomats, most likely a nod to improving ties with the next U.S. administration. U.S. accusations of Russian interference in elections are apparently not only limited to U.S. territory, however. There are currently U.S. claims that Russia may try to influence upcoming European elections in 2017 as well. While there are several European states where Euroscepticism is taking root, concerning the U.S., upcoming French presidential elections clearly garner more attention. This is because Front National’s Marine Le Pen has threatened not only EU withdrawal (“Frexit”) if elected President, but possible NATO withdrawal as well. Russia will be a factor in the French presidential election, but not in the way articulated by the U.S.. France, like all EU states, has to make a decision regarding not only its own place within the EU, but also the EU’s place as a whole within global politics. Because Russia trades more with Europe than with the U.S., continued anti-Russian sanctions have had and will continue to have a disproportionate effect on Europe’s economy, not the U.S.’. As a Le Pen victory may be even more possible in the wake of the unforeseen Brexit and Trump victory, Russian election interference accusations by the U.S. are meant to preempt even this remote possibility. France, like all of Europe, will have a major decision to make regarding how far it is willing to let its own economy continue to suffer, as with the failed Mistral carrier deal, in order to tow the geopolitical line with the U.S.. Unlike Europe, Japan is clearly making more moves independent of the U.S. in strengthening its own strategy to balance China. Similar to the U.S.’ “Diamond of Democracies” to balance China (Japan, Australia, and India), Japan is developing its own stable of powers to serve this very same purpose. In addition to its historical treaty ally, the U.S., and India, Japan is looking to promulgate better relations with Russia in order to create strategic uncertainty on China’s northern and western borders. Japan is doing this despite U.S. reservations due to U.S.-Russian hostilities. Although a formal peace treaty between Japan and Russia has, as of yet, not been signed, this has not deterred either party from mutual diplomatic outreach. As with Japan, Russia is also looking for outside powers to better balance China’s rising military capabilities. To date, a major sticking point on the Russian side is uncertainty as to whether Japan would actually allow U.S. forces to create a base on any of the islands turned over to Japan in a potential deal. This mirrors Russian concerns in the Black Sea regarding a possible NATO presence on the Crimean peninsula in the worst case scenario. If China is indeed the longer-term threat to overall U.S. interests according to some, it is highly illogical of the U.S. to continue to antagonize Russia. Even though Western colonialism left its legacy on China, culminating in the Opium Wars, China has historically been focused on threats from its mainland Eurasian neighbors, with the Mongols and Manchus as examples. Because of this, China decided that if it were to achieve its full economic and military potential, it needed to have peace with its many land neighbors. These diplomatic efforts have enabled China to refocus its economic and military energies towards the maritime domain. This refocused energy has recently borne fruit as China’s sole operational aircraft carrier, the Liaoning, recently made its maiden voyage into the Western Pacific Ocean on a training mission. This symbolizes China’s desire and ambition to no longer be content with only coastal water defense capabilities (“green water”), but to expand its naval capacity onto the high seas (“blue water”). If the U.S. is serious about containing Chinese naval capabilities to the First Island Chain, of course it will need to have strong military ties to Japan, Taiwan, and the Philippines, all of whom form the strongest part of the chain. However, mainland partners such as Russia will also be critical to this effort because of the historical issues outlined above. It’s been speculated that the incoming U.S. administration is looking to foster better relations with Russia in order to better balance China over the long haul. However, if this is the case, the U.S. has its work cut out for it as it not only needs to work with Russia in order to address the immediate regional concerns outlined above, but will in all likelihood have to also truly treat Russia as a respected world power with legitimate security interests and concerns going back to the end of the Cold War, if not earlier. Unfortunately, even if the U.S. starts to do all this now, there is no guarantee that its efforts would eventually be successful as it would need to be clearly demonstrated (to Russia) that overall Russian interests would benefit. Additionally, China has a long history of playing outside powers against one another (“Use Barbarians To Fight Barbarians”). U.S.-Russian hostilities only make this easier. Because of this, Japan’s farsightedness currently places it ahead of the U.S. and its nearsightedness in the race to enlist Russia to help balance China.